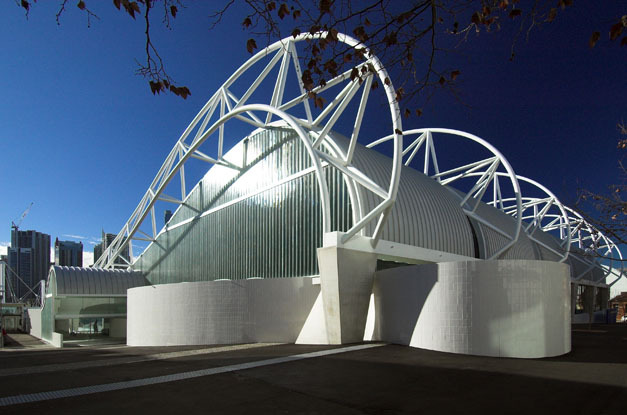 This striking, iconic aquatic centre in Ultimo, Sydney, designed by Harry Seidler and Associates, is named in honour of five-time gold-medal-winning Olympic Champion, Ian Thorpe. 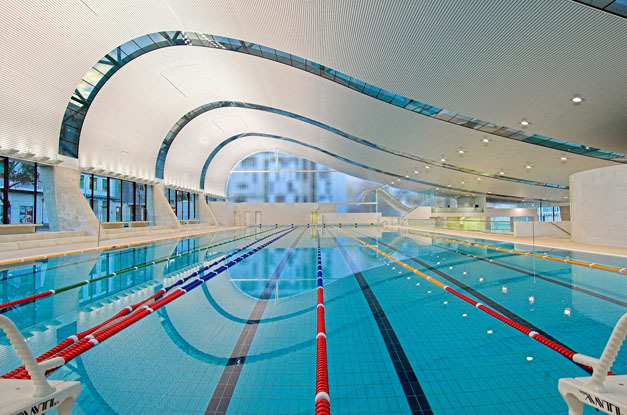 The dramatic and distinctive building, with its free-form, wave-shaped roof and ceiling structure, features 2500 sqm of LUXALON® 84R Interior Linear Ceiling in HD COLOR-COTE® Polar White. Flexible in design, the LUXALON® 84R Interior Linear Ceiling was perfect for this project's irregularly shaped ceiling plane. The Centre is set to offer a range of health and aquatic programs and services to cater for the diverse ages and interests of surrounding communities.